The Pride Pursuit XL is an exceptionally capable and comfortable mobility scooter. 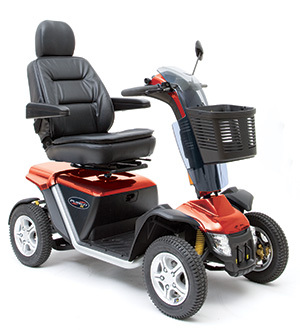 With a per charge range of over 29 miles you can enjoy long excursions without worry. Four wheel independent suspension and large 13" tires make for a comfortable ride, even when overcoming obstacles other scooters cannot.